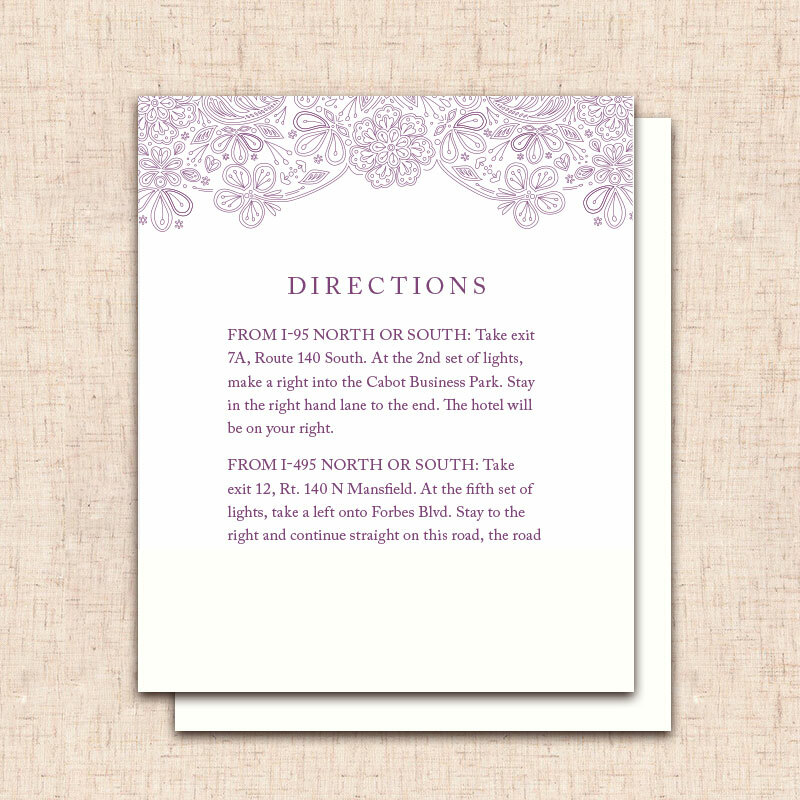 This invitation suite was designed as an expansion of an original invitation design. 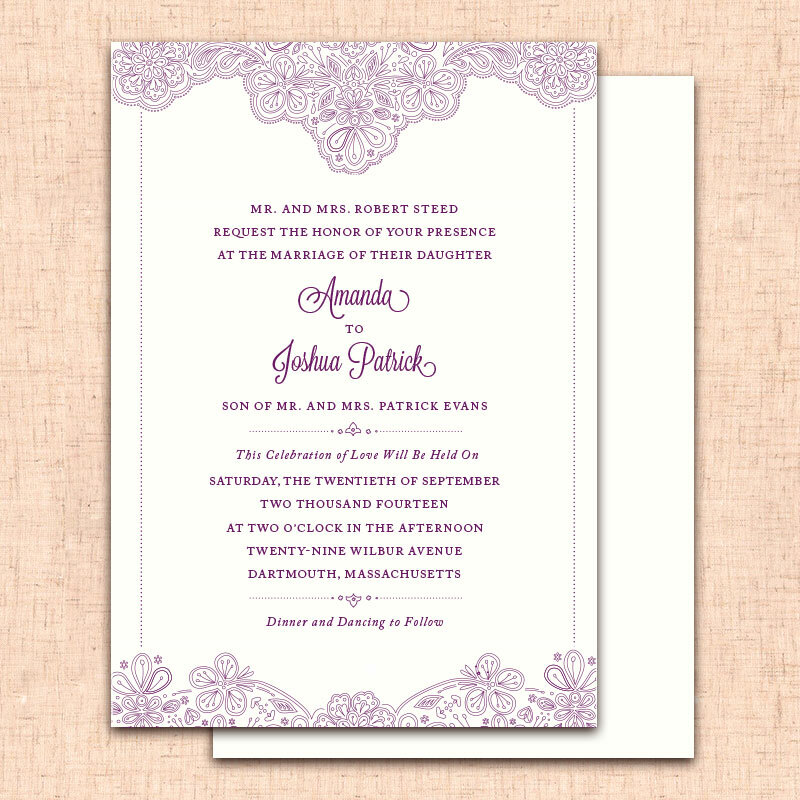 The lace motif and typographic system are consistent throughout the spread of designs. 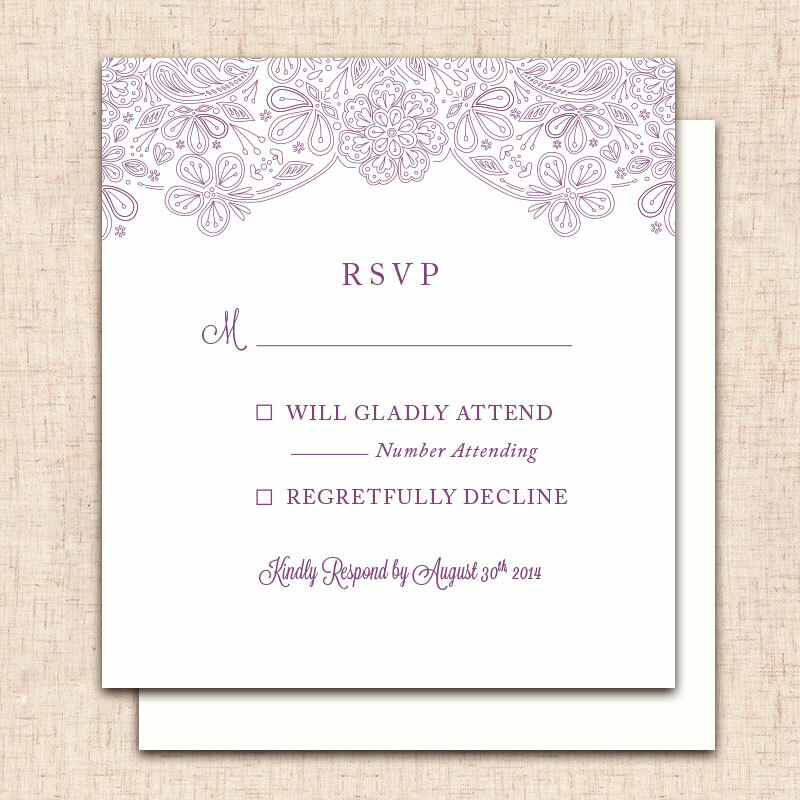 The style was intended to be elegant with a vintage feel.